BONUS: This edition contains a Cotton Malone Dossier, an excerpt from Steve Berry's The Columbus Affair, and a short story by Steve Berry, The Balkan Escape. Former Justice Department operative Cotton Malone has received an anonymous note carrying an unfamiliar Web address. Logging on, he's shocked to see Cassiopeia Vitt, a woman who's saved his life more than once, being tortured at the hands of a mysterious man who has a single demand: Bring me the artifact she's asked you to keep safe. The only problem is, Malone doesn't have a clue what the man is talking about, since Cassiopeia has left nothing with him. 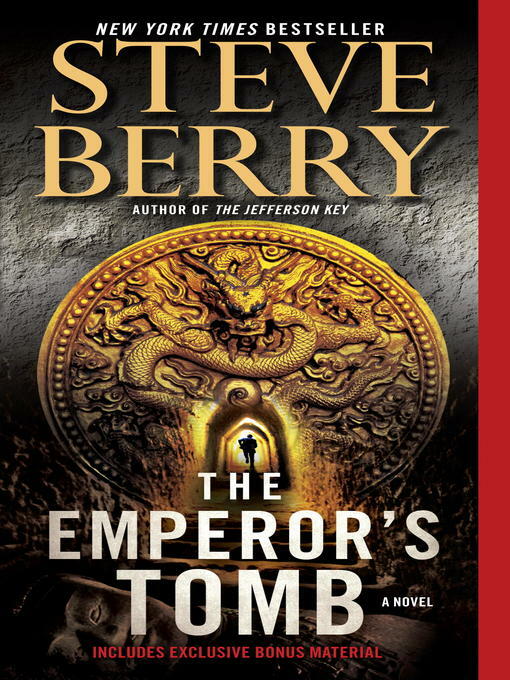 So begins Malone's most harrowing adventure to date--one that offers up astounding historical revelations, pits him against a ruthless ancient brotherhood, and sends him from Denmark to Belgium to Vietnam then on to one of the greatest archaeological sites in the world: the tomb of China's First Emperor, guarded by an underground army of terra-cotta warriors, which has inexplicably remained sealed for more than two thousand years--its mysteries about to be revealed.